Health experts give people all sorts of advice for losing weight. Most weight-loss studies last a maximum of only 6 to 12 months and can’t tell us much about what works over 5, 10 or 15 years. A remarkable study from Harvard University examined more than 120,000 people in three, four-year increments beginning in 1986. People gained more than 3 pounds during each four-year period. 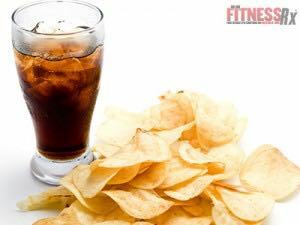 Factors linked to weight gain included potato chips (1.7 pounds), french fries (1.3 pounds), high-sugar drinks (1 pound), red meat (1 pound) and processed meats (0.9 pounds). Foods that triggered long-term weight loss included vegetables (-0.2 pounds), whole grains (-0.4 pounds), fruits (-0.5 pounds), nuts (-0.6 pounds) and yogurt (-0.8 pounds). Increasing physical activity caused an average four-year weight loss of 1.8 pounds, while watching television increased weight by 0.3 pounds per hour per day.